Pure fish oil is the only animal-based product we recommend on the Hallelujah diet. Why? Because it’s the best concentration of the right types of fatty acids we need to be genuinely healthy. While taking the fish oil is not completely necessary, it does help increase our health faster and give us the results we’re looking for. Today, we’re going to give you seven essential health benefits of taking pure fish oil. But, first, we want to let you know that most fish oil is not pure. Many brands contain contaminants such as mercury and arsenic that we’ve polluted our oceans with. Cheaper supplements, especially off- name brands, may not provide the right amount of fats, or even any of the fats you need. Fortunately, we put a little bit of extra time and effort into making sure our supplements are free from contamination and provide the quality to meet your needs. Fish oil is right for your heart. Fish oil can lower your cholesterol levels, triglycerides, and blood pressure and help prevent plaque buildup and fatal arrhythmias. And when taken in high enough servings to get your Omega 3 Index up to a protective level it also prevents heart attacks and strokes . 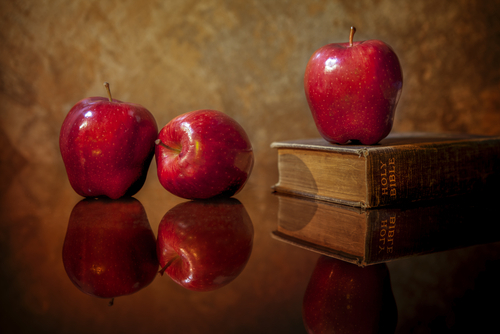 The typical diet is filled with the wrong type of fats, and the Hallelujah diet is a bit light on fats. 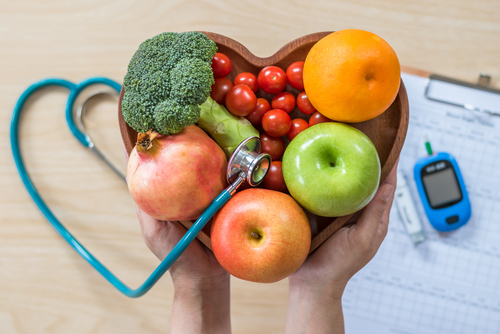 Adding fish oil to your diet, especially when combined with a healthy diet like ours, can help you lose inches off your waist and reduce your risk of heart disease. 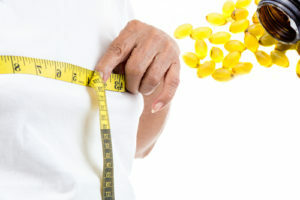 Combined with exercise, it helps you to lose the weight healthily and fast. Just don’t watch the scale too closely. Some studies show that people lose inches off their waist and get healthier, but they don’t actually lose a lot of weight. It’s suspected that people gain muscle mass. Fish oil may reduce inflammation. Chronic inflammation is common, especially in people who are overweight or who suffer from autoimmune disorders, and these people benefit from taking fish oil. 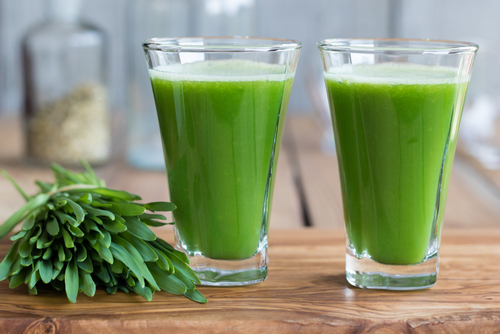 It reduces the gene expression of various cytokines or inflammation molecules. 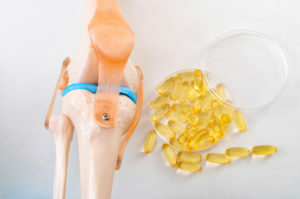 For people with arthritis, fish oil can help reduce joint pain and stiffness. It improves symptoms of depression, anxiety, and other mental disorders. If you suffer from depression, it feels like nothing can help. However, studies have shown fish oil, and especially omega-3 fatty acids, can improve the symptoms of depression. It does this by balancing the hormones in your brain and soothing the neural connections. Fish oil has also been shown in studies to help reduce the symptoms of bipolar disorder and schizophrenia. In the elderly, fish oil may help slow the decline of mental capacity and may be able to help prevent dementia and Alzheimer’s. Fish oil is great for kids. Not only is fish oil vitally important for proper baby brain development, but it also helps improve your child’s ability to learn in grade school. Moreover, supplementing with fish oil can also help reduce the symptoms of hyperactivity, impulsiveness, aggression, and attention. It may help bone health. Calcium, vitamin C, magnesium, and vitamin D are all critical for bone health. Some studies also show people with a higher intake of omega-3s have a greater bone mineral density. It’s suspected that the omega-3s help reduce inflammation that can lead to problems building new bones and may help balance the calcium and magnesium in our blood, thus drawing less from the bones for those critical elements. It may reduce asthma and allergies. Asthma and allergies run rampant in our society, and some studies show that taking fish oil can help. They show that prospective mothers taking fish oil can reduce the risk of asthma in their children 24 to 29 percent. Other studies show that adults taking fish oil supplements reduce their asthma symptoms, as well. The World Health Organization recommends 0.2 to 0.5g of combined EPA and DHA as a daily intake for most adults. They suggest a supplement that provides at least 0.3g of EPA and DHA per serving. But this is just a start. For optimal health you need about 1 gram of EPA and DHA daily. And to reverse health challenges 2 grams a day has been shown to be effective in clinical trials. So, don’t skimp and then say that fish oil doesn’t work. To get enough pick a supplement that has a high concentration of EPA and/or DHA. So, you have to watch your supplements. 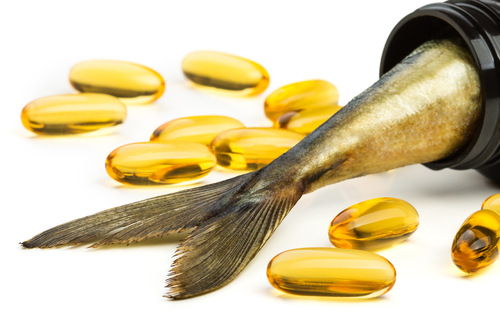 Although many of them contain a large amount of fish oil per serving, the amount of EPA and DHA is much lower, and some fish oil supplements don’t provide what they say they do, especially if they are off-brand. You also want to make sure your fish oil supplements are fresh and contain antioxidants. This keeps your supplements from going rancid and keeps the good components active. Fortunately, our supplements meet the high criteria for being good supplements. We recommend you use our fish oil as a standard and for your health.